Our teeth are meant to last all of our lives. While we may take great care of our teeth and practice good oral hygiene habits, like brushing and flossing regularly, there could be a time when root canal treatment is needed. Under the white enamel and dentin resides a tooth’s soft tissue called the pulp. This area is home to the nerves, tissues, and blood vessels of each tooth. 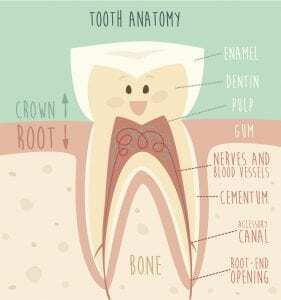 A tooth’s root canal contains the pulp tissue and extends to the base or root of the tooth. The pulp within a tooth can become infected or inflamed due to a number of reasons. Deep decay might exist, or the tooth may be injured, cracked, or chipped. Pulp inflammation left untreated can cause pain or create an abscess. 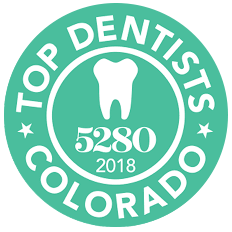 Based in Thornton, CO, the experienced dental team at Barron Family Dental can determine if the signs that a root canal may be needed exist. These symptoms include highly increased sensitivity to cold or heat, tenderness, difficulty chewing, discoloration or swelling and drainage around the gums. It is always worth saving a tooth and there are risks in delaying root canal treatment, so we’ll talk you through the benefits of a root canal if it’s absolutely necessary. Modern root canal treatment is as straightforward as having a filling or other dental treatment. Following a thorough assessment, a root canal procedure can be completed in one or two appointments. You will receive an examination and usually a digital X-ray of the affected tooth. The tooth and affected area in the mouth are numbed using a local anesthetic. The infected tooth is opened using small instruments, and the pulp and root within the tooth are thoroughly and carefully cleaned. The space is filled with a biocompatible material and adhesive. Following the root canal procedure, you may have a temporary filling placed to create an environment for the tooth to fully restore itself. Avoid chewing or biting on the treated tooth to help it to heal and prevent a crack. Be sure to maintain good, regular brushing and flossing practices as normal. Your teeth are an important part of how you function and how you look. At Barron Family Dental we work hard to help our patients not only keep their teeth, but also to keep them looking their best. A root canal can quickly and safely help save a tooth! A root canal is a relatively easy procedure and will relieve toothache pain or discomfort. Left untreated you may experience pain, a bad taste or bad breath, tenderness, and fever. It’s quite common that an infected tooth can destabilize the tooth and jaw over time and cause the affected tooth to fall out or even require a tooth extraction! If you’re suffering from a toothache, no matter how small, we are here to help! Barron Family Dental offer expert, comfortable care for patients of all ages suffering from many oral health issues and conditions. You’ll be glad you contacted us!